Stewards of Children is a prevention training program that teaches adults how to prevent, recognize, and react responsibly to child sexual abuse. The program is designed for organizations that serve youth and for individuals concerned about the safety of children. It is the only nationally distributed, evidence-based program proven to increase knowledge, improve attitudes, and change child protective behaviors. 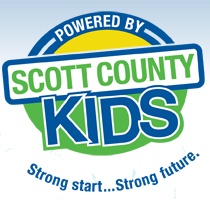 This training is brought to you through the partnership of: Child Abuse Council, Scott County Kids, Community Partnerships for Protecting Children.